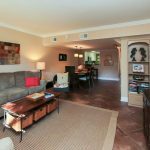 Welcome to 27 Ocean Club Villa in South Forest Beach! 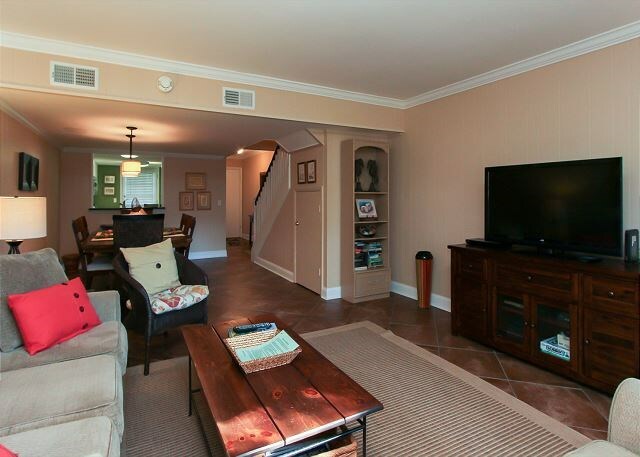 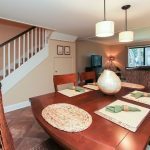 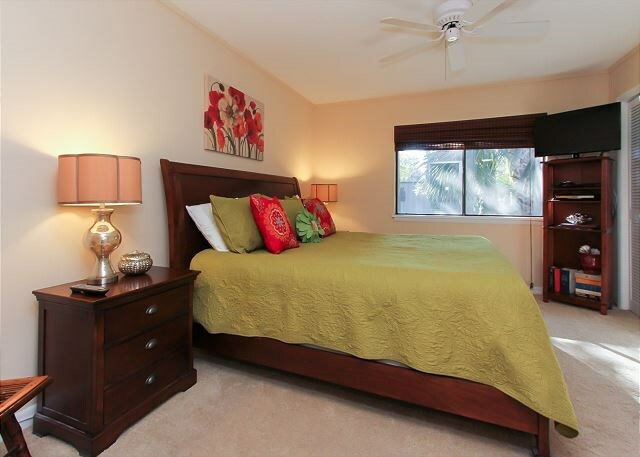 This two story updated villa offers an open first floor plan, two bedrooms and two full baths. 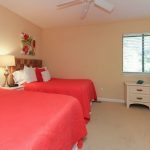 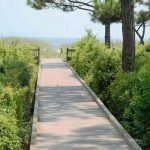 There is a patio with seating and gas grill, there is a pool located on site and the villa is located within a one minute walk from the beach. 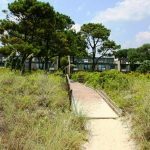 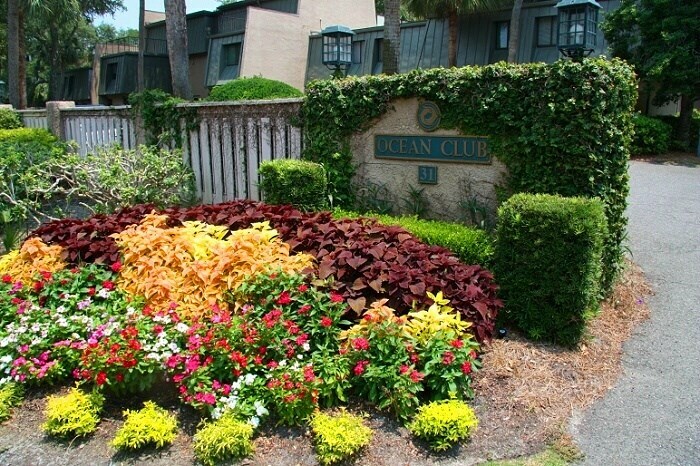 The complex is located oceanfront and this villa is close to the beach and pool. 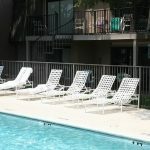 The owner also has provided a outside storage area with chairs and beach toys. 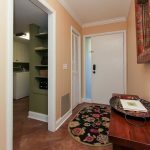 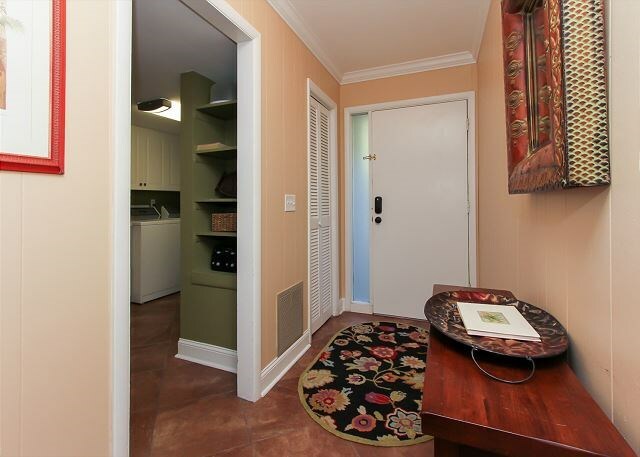 From the moment you walk thru the door you will appreciated the updates that have been completed in the villa. 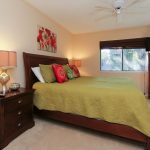 The living area is located on the first floor of the villa, both bedrooms are located upstairs. 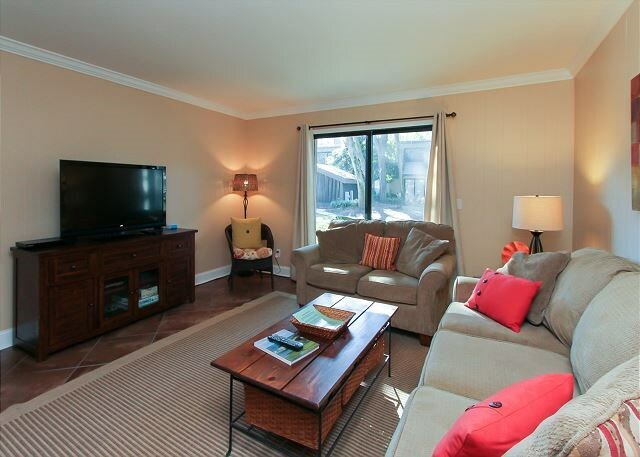 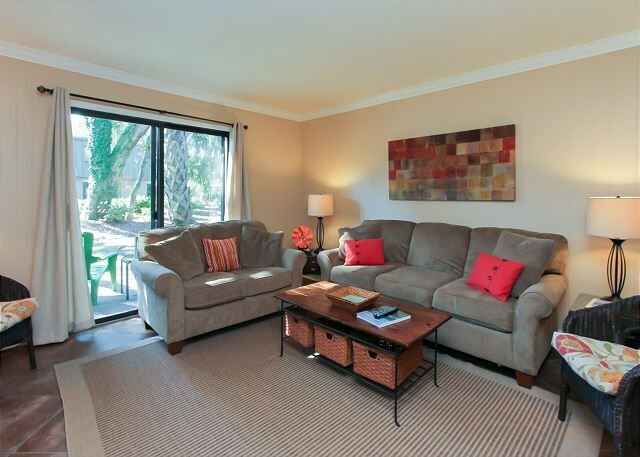 The living area has comfortable furnishings, a large flat screen TV and the sofa is a sleeper for additional guests. 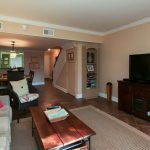 There is a sliding door off the living area that leads to a patio area with seating, the pool and beach are just steps away. 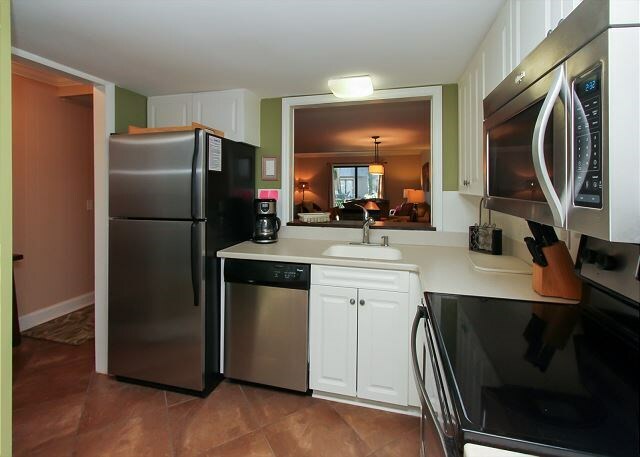 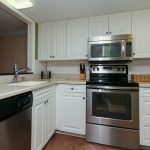 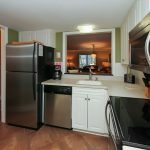 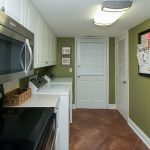 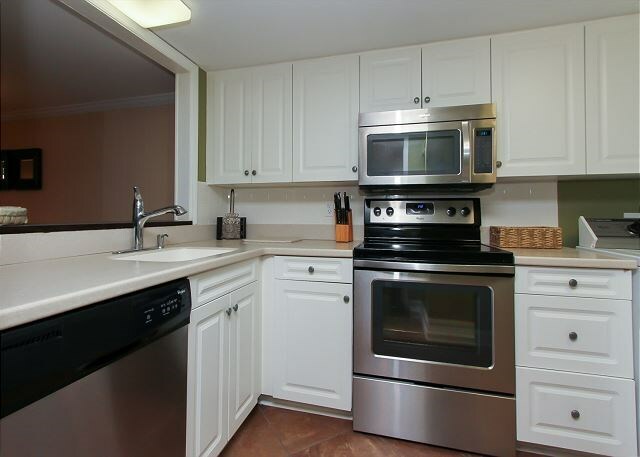 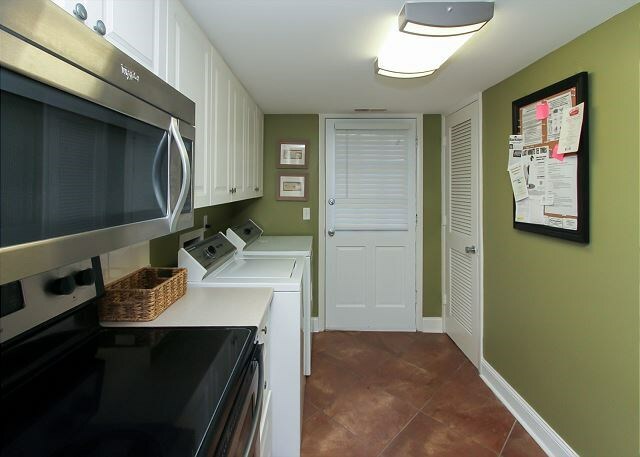 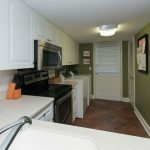 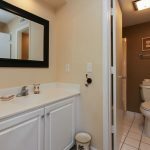 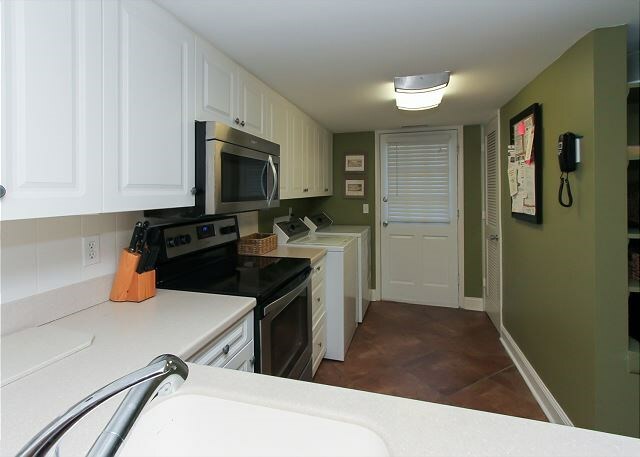 The kitchen has been updated with white cabinets and stainless steel appliances along with full size laundry appliances. 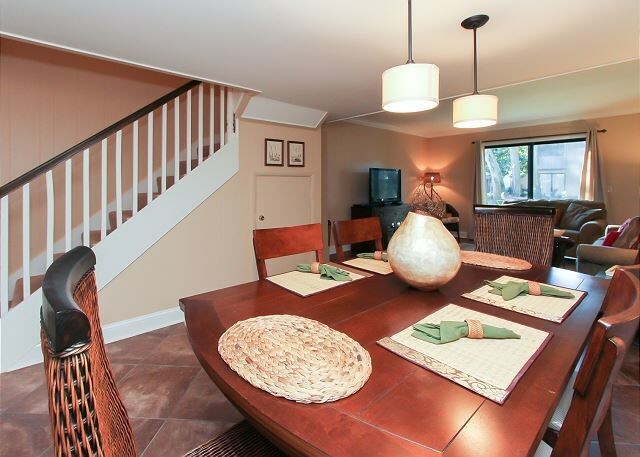 There is dining space for six at the dining table and additional two seats at the breakfast counter. 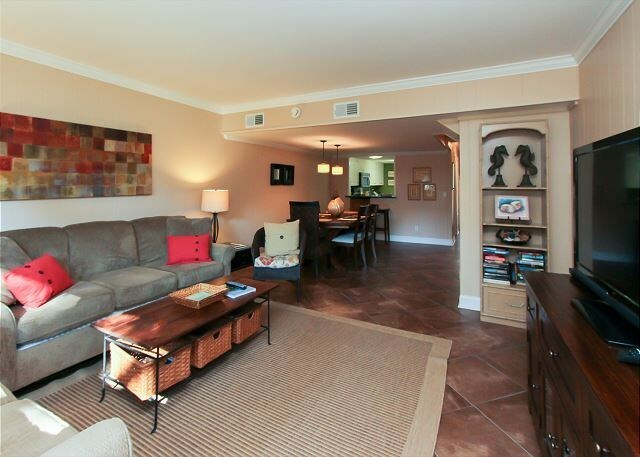 The first floor is an open floor plan, the decor is inviting just the perfect villa for friends and family at the beach. 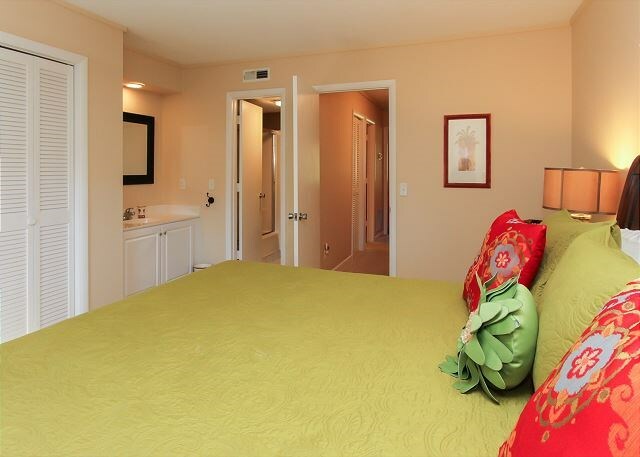 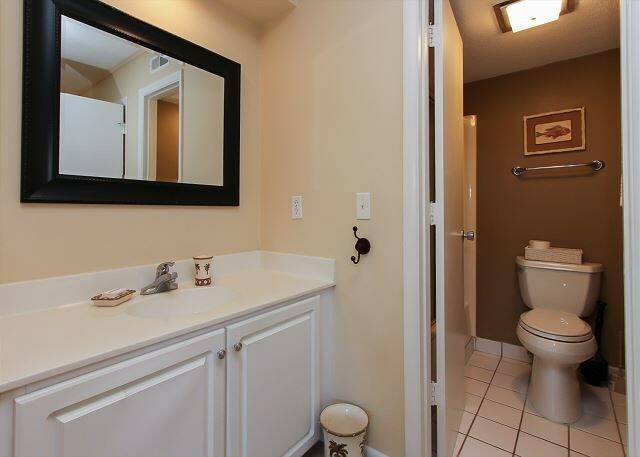 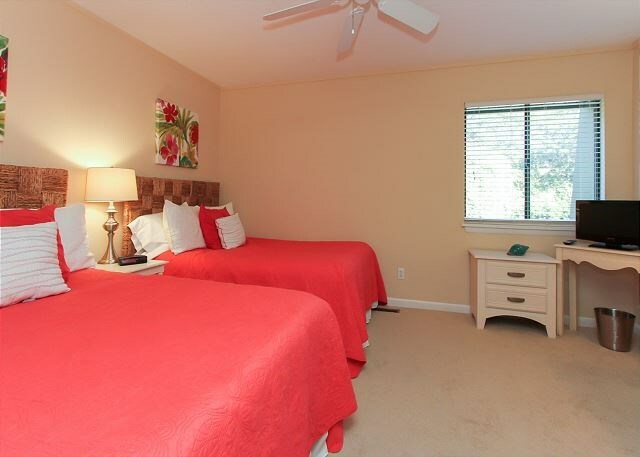 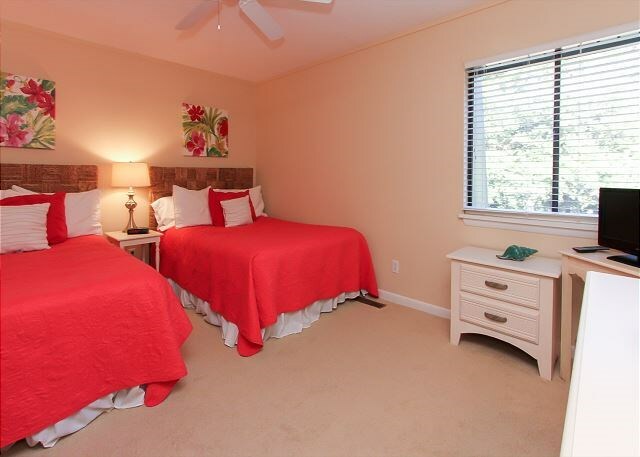 Upstairs is a master bedroom with a king bedding, ceiling fan, a sitting area, a flat screen TV and a private bath. 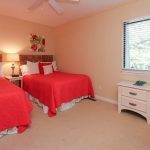 The guest bedroom is bright and cheery, there are two double beds ,a flat screen TV a full bath which is located just outside the bedroom in the hall. 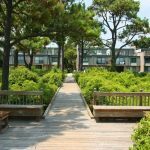 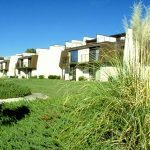 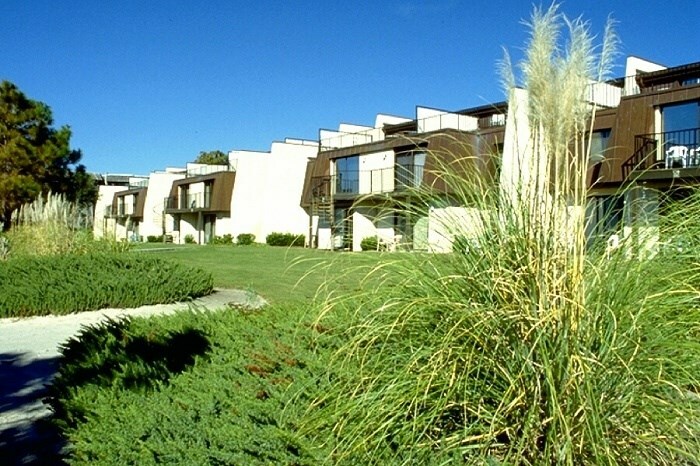 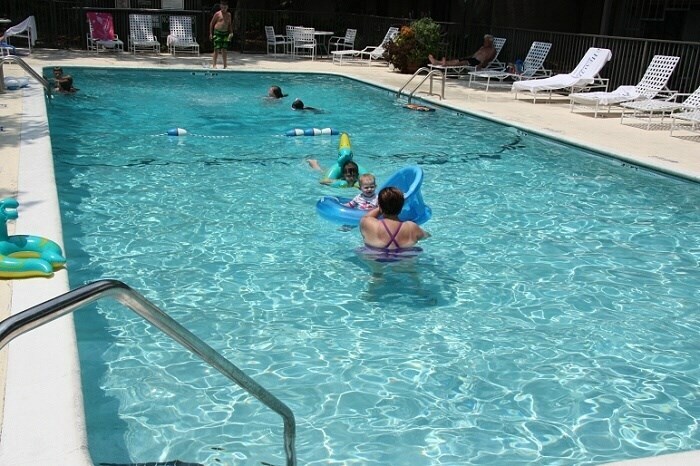 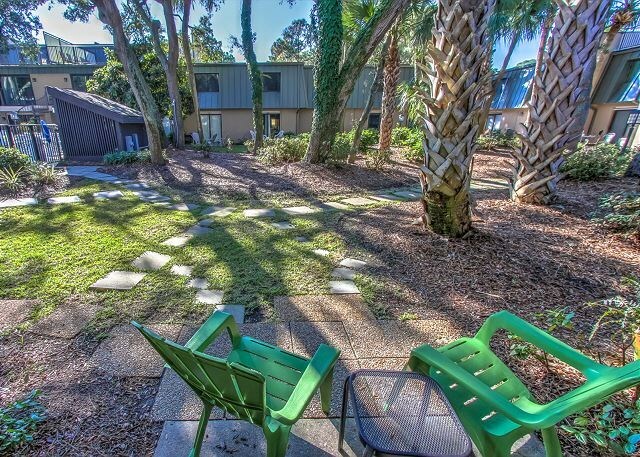 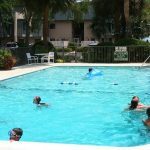 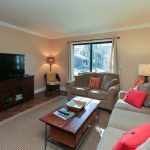 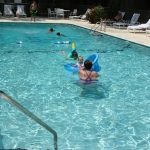 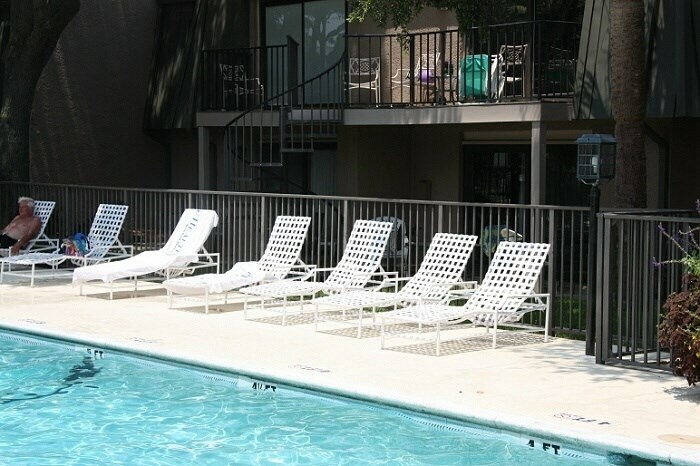 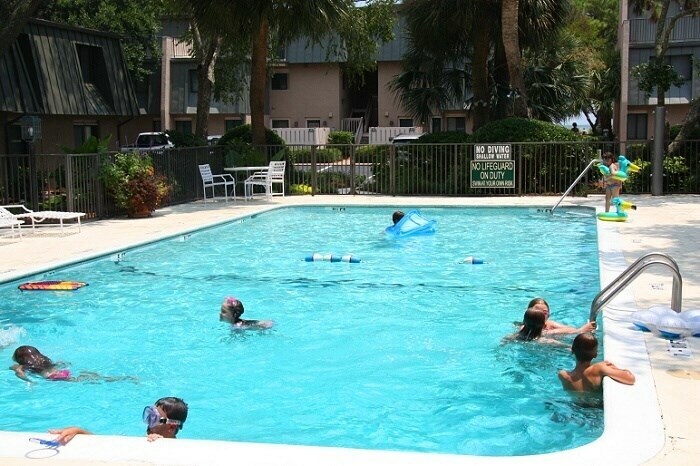 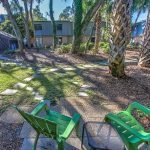 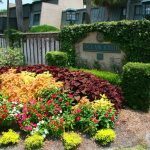 The complex is located directly across the street from the bike path, within walking distance to Coligny Plaza where you will find dining, shopping and entertainment. 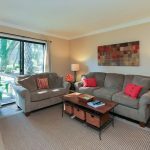 A tennis complex, a health club (these are self paid amenities) and the beautiful Island, your family will “thank you” for booking this wonderful villa. 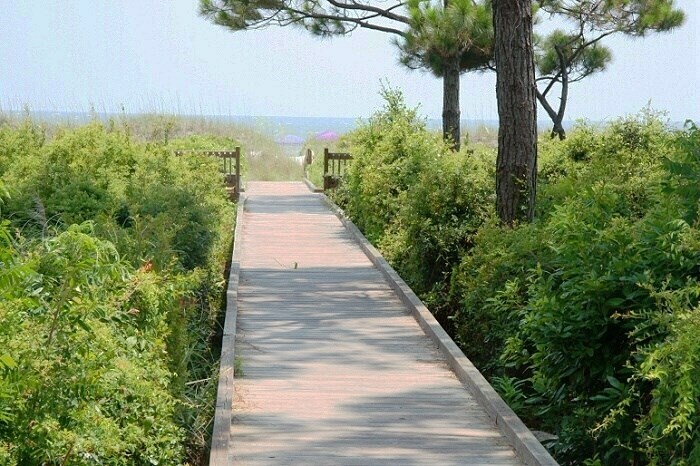 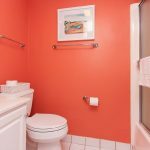 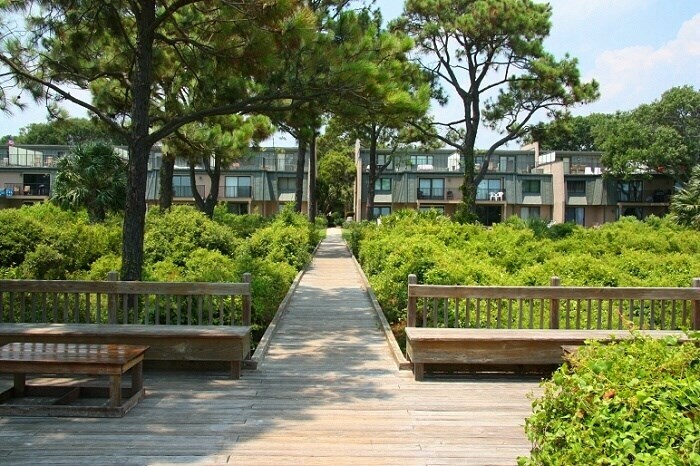 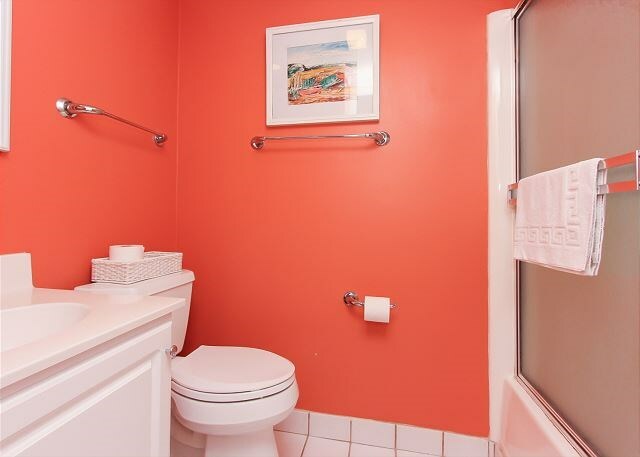 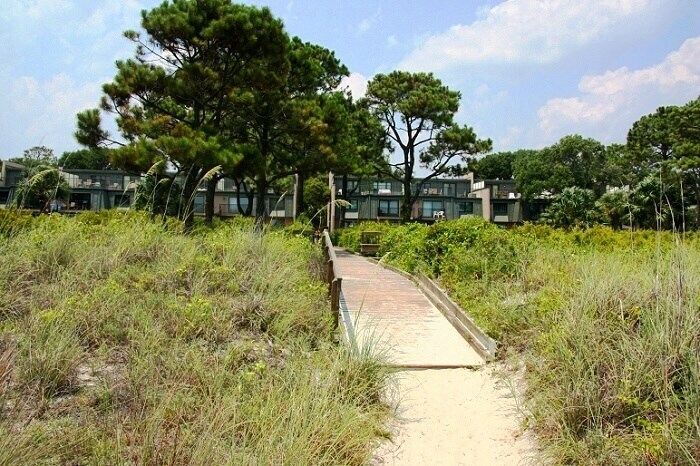 FREE wireless internet access and beach towels included with this rental.